Let’s talk pizza. Whether it’s thin or thick, simple or loaded, red or white, meat or no meat, pizza is the bomb. 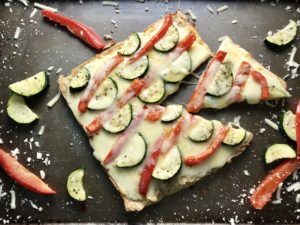 So, it was a big risk to take on pizza today, but I have created for you something truly amazing: Quinoa Crust Pizza with Roasted Zucchini & Peppers and ooey, gooey cheese. This crust is hearty, has texture, is crispy on the bottom, and has amazing flavor. 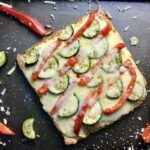 Topped with sweet and meaty veggies and creamy mozzarella, this pizza is a gluten-free heavenly treat! 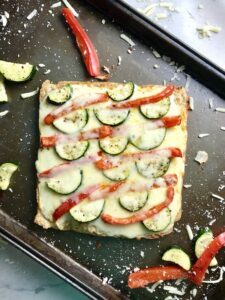 It’s the most flavorful, filled with texture, and healthy crust I have ever made! Hopefully you’ve tried Quinoa by now and know all of the amazing health benefits. 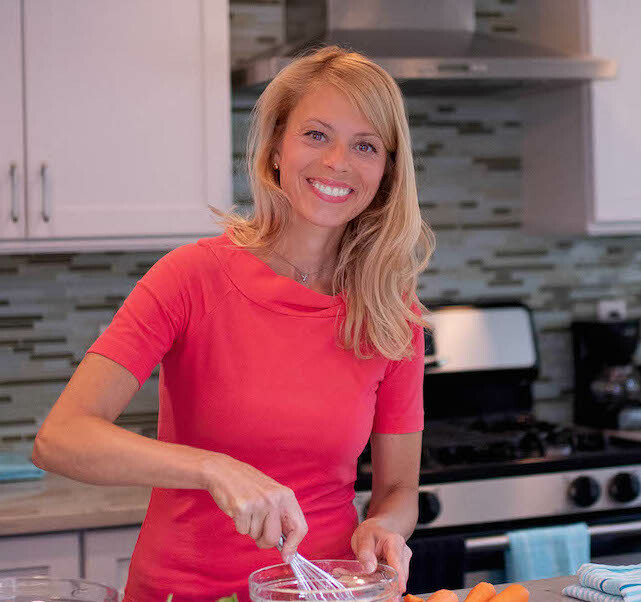 If not, read more and become intimately acquainted with Quinoa with my Quinoa Weekly Meal Plan – 3 recipes, 3 amazing ways to enjoy Quinoa. 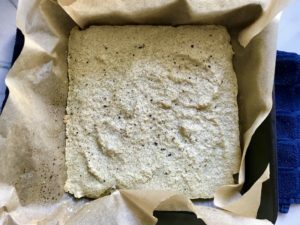 This recipe starts by baking the Quinoa crust first. 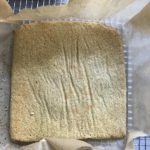 I tried a few different Quinoa crust recipes, but this one that is a little thicker and has more texture was my favorite. I like to buy organic Quinoa in relatively larger sizes since we use it so often in my house. This is a good option: Nature’s Earthly Choice Organic Quinoa, 32 Ounce . 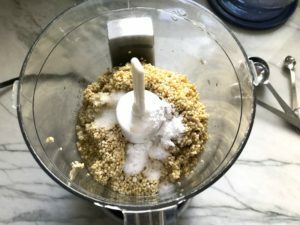 After soaking the quinoa overnight or for at least 6 hours and rinsing it, put the quinoa plus the water, baking powder, salt, and oregano into a food processor. Then process until fully blended together and smooth, but still textured. 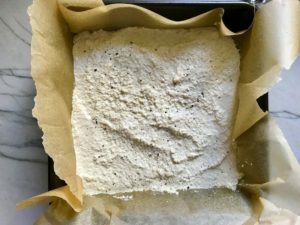 It will be the consistency of a thick batter. Add the oregano to the mixture and pulse again to mix in. 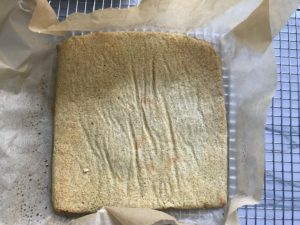 Then pour the quinoa dough into a 9 inch square pan that has been lined with parchment paper and sprayed with a coating of Oil. I like to use a spray coconut oil for just a light coating. Smooth the crust out with a spoon. Finally, sprinkle with a little fresh ground pepper. 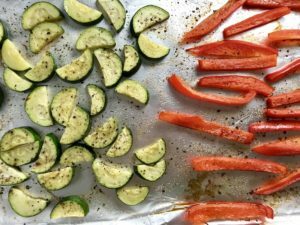 While the crust is cooking, you can prepare the veggies and roast them. Season the veggies with salt, pepper, garlic powder, and oregano. Then roast for 10 minutes. Now, it’s time to assemble! 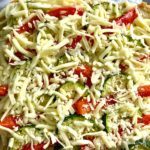 Add the shredded mozzarella cheese, then the veggies, and more cheese. Bake in the oven for 5-10 minutes until the cheese is completely melted and starting to brown. 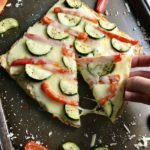 This Quinoa Crust Pizza with Roasted Zucchini & Peppers is truly worthy of any pizza competition. 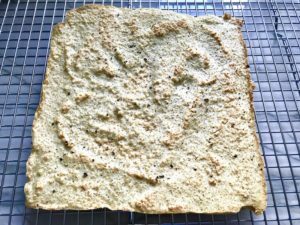 The crust is hearty, has texture, is crispy on the bottom, and has amazing flavor. 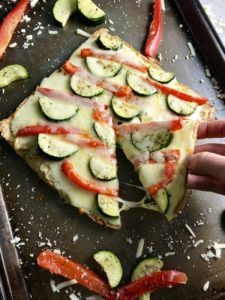 Topped with sweet and meaty veggies and creamy mozzarella, this pizza is a gluten-free heavenly treat! 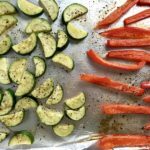 Cut the Zucchini in half lengthwise, then cut into 1/4 inch slices. Slice the red pepper. In a small bowl, mix the salt, pepper, garlic powder, and oregano. 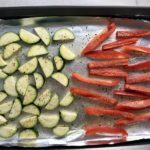 Place the veggies on a sheet pan and lightly spray them with the oil spray. Then sprinkle them with the seasoning mixture in the small bowl. Turn the veggies over and do the same to the other side. These can roast in the oven at the same time as the crust for 10 minutes. 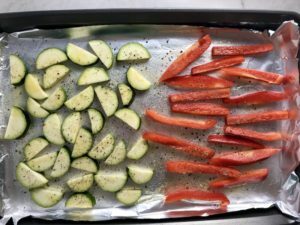 Or you can roast the veggies before cooking the crust. 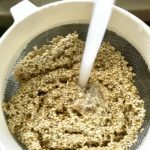 Rinse the Uncooked quinoa thoroughly in a strainer. Place the quinoa in a bowl and cover with water to soak overnight. After the quinoa has soaked for 6+ hours or overnight, rinse it again. 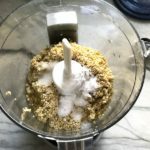 To a food processor, add the soaked/rinsed quinoa, baking powder, salt, water, and salt. Pulse and then blend in the processor until fully combined and smooth. Scrape down the sides as needed to ensure all is incorporated. 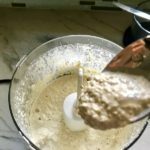 The mixture will be like a thick batter vs. a pizza dough. Add the Oregano to the mixture and then pulse to combine. 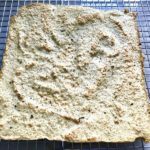 Pour the quinoa dough into a 9 inch square pan that has been lined with parchment paper and sprayed with a coating of Oil. I like to use a spray oil for just a light coating. 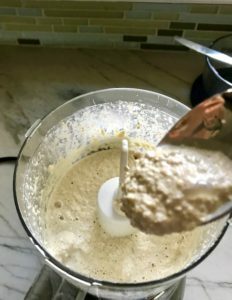 Smooth the crust out with a spoon. Finally, sprinkle a little fresh ground pepper. Place it back in the pan and bake for another 5-10 minutes. Then remove from pan and place on a cooling rack until ready to assemble the pizza. 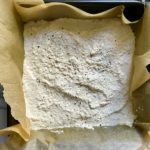 You don't need to fully cool the crust, you just do not want it to steam and get soggy if it sits in the pan. 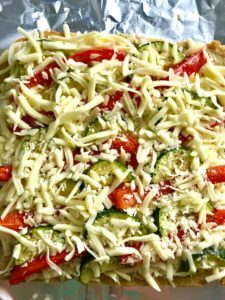 Place the crust on a sheet pan and layer on cheese, zucchini, and red peppers, then more cheese. Put back into the oven for another 10 minutes until the cheese is fully melted and starting to brown. < Previous 5-Ingredient Chicken Tortilla Soup with Kale!